Anchorage, AK – Bristol Bay Industrial, LLC is pleased to announce the appointment of Cody Gauer as president and chief executive officer of Peak Oilfield Service Company, effective April 9. Gauer is 13 year veteran of the upstream oil and gas industry, of which the last ten have been spent in the heart of Alaska’s oil patch. 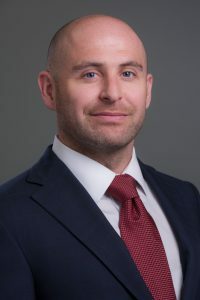 He previously served as the production manager for Eni Petroleum’s arctic offshore assets and held multiple positions at ConocoPhillips Alaska, including senior production engineer and planning analyst for their Colville and Kuparuk River Units. In his new role, Gauer will have executive oversight of the company’s North American operations and will be responsible for developing and executing a strategic plan to reposition Peak in the ever-changing oil and gas market. Gauer graduated with honors from Montana Tech with a Bachelor of Science in Petroleum Engineering. Prior to relocating to Alaska, he spent time in Wyoming and Texas working the fields for Encana, a leading North American energy producer.